Many of you have asked for this post. How do I choose the right wall to wall carpet? Well here it is. My best advice for choosing the right wall-to-wall carpet is choose a current texture or pattern. Like the one in the image above from House Beautiful, natural fibre or “natural fibre look” carpets are a hot trend and for good reason. 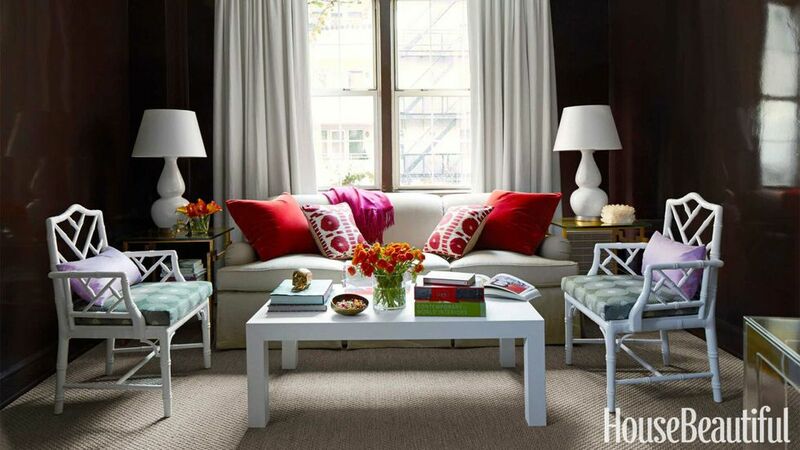 It’s a classic look and introduces some beautiful texture into a room. Here is another dramatic room with natural fibre carpet with a pretty herringbone texture below. 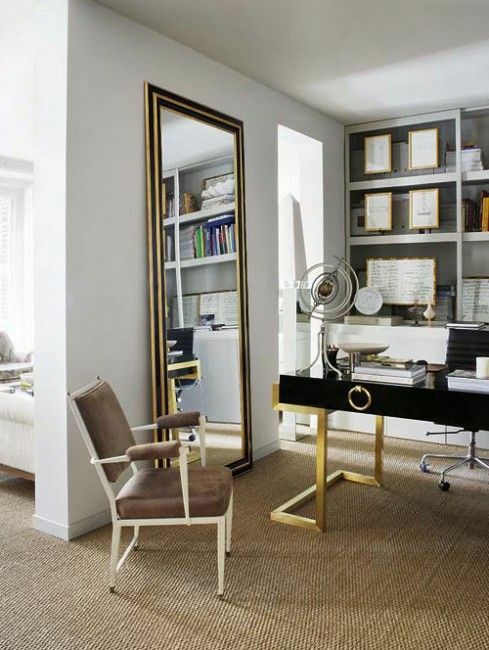 And a glamorous room with black and gold accents (below). Natural fibre carpet can work well with either a rustic casual, or a more refined look. Real sisal, jute and seagrass carpets are beautiful, but not so soft underfoot. However, you can get a similar look with woven berbers for the best of both worlds. Look for a pretty waffle, herringbone or diamond pattern. And speaking of pattern, There are lots of great examples of wall to wall carpet with actual pattern like checks, stripes and animal print. These look great on stairs which is the first place carpet gets dirty. Also, leopard prints are always a classic and so great for stairs as well! This doesn’t need to be throughout the bedroom floor but what a great way to introduce yourself to the second floor carpet! Here is a handsome dressing room by Studio McGee with an unexpected plaid carpet (below). A closet is another place where you can be creative with the carpet. Inspired? Here are my very best tips for choosing one that will be beautiful without being BOSSY. First let me tell you about the most common mistake I see consumers make when they choose wall to wall carpeting. Because there is so much pink beige carpet available, AND because most people who are not inducted into the world of neutral undertones take the descriptor “warm neutral” at face value, they have no idea they are about to install the bossiest undertone wall to wall in their home. If you are choosing any other neutral besides white or cream, which is pretty straightforward–and obviously not a common choice given most people have kids and pets–the most common mistake consumers make is to choose a “warm neutral” pink beige like this one below. If you are not familiar with pink beige, in the world of neutral undertones, it is the MOST limiting neutral. This is where it sits with all the rest of the neutrals on my colour wheel. Between taupe and orange beige near the top (below). The reason why it looks so appealing on a smaller sample is because compared to all the other neutrals, it’s the warmest. However, as I said, once it’s installed in your house, it stops being neutral. It now reads as a bossy beige with a pink undertone that must be taken into consideration when you are decorating. In my 20 year career as a decorator and colour expert, I have seen more pink beige carpet installed throughout the home than any other colour. Yes I know it’s wrong, how much to help me figure out wall paint? And she was not alone in making this mistake. I have spoken to so many clients over the years who’ve said “Please, come over and help me choose a paint colour, I always end up with pink walls”. This client (below) had almost finished her new build before she found my blog. She hired us to choose new paint colours for her house because the existing creamy/yellow (shown above) was so wrong with everything. The reason I’ve given you two examples (above) is because there’s probably more carpet out there in varying shades of pink beige than any other neutral. How I know this, is I have been in and seen photos of literally thousands of homes and the number one, most installed carpet colour is pink beige. And pink beige is the most limiting undertone because it doesn’t work with gold, orange or yellow beige. It generally doesn’t work well with fresh colours either. Here’s a pretty bedroom with a lovely textured pink beige carpet with mint green walls. Is it clean and dirty? Borderline. And, it would have been even prettier if the colour had been repeated in the decorating. The two best neutral undertones for carpet that are the most versatile for decorating are green grey and green beige. There’s no such thing as a neutral that will ‘go with everything’, even if you chose a white or cream carpet, you’d still need more white or cream repeated in the room so that it looks decorated. Carpet is never as neutral as a wood floor. However, green undertones are the most versatile. This is green beige, it’s warmer and works really well in an earthier house. The way to find the best options on any board of carpet samples is to paint up a large board of a colour in the neutral undertone you want. Or use my large painted boards which are curated and categorized by neutral undertone for you making it super easy. 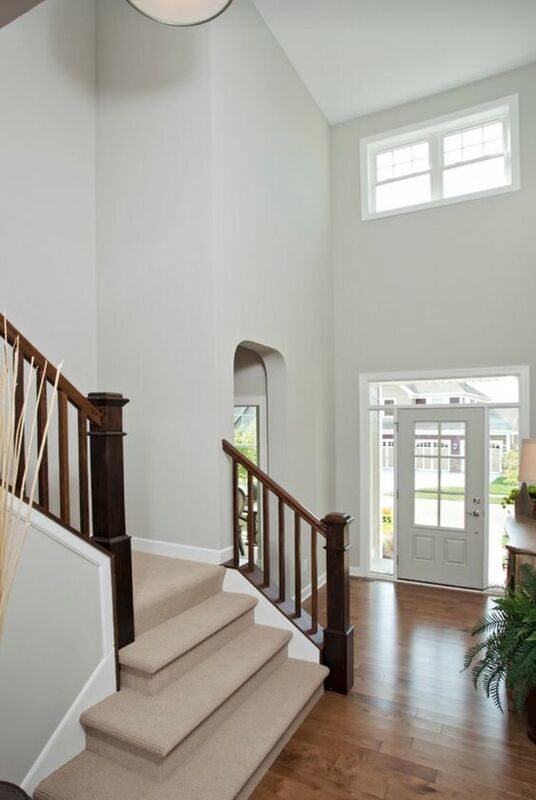 When you sample any hard finish, you must set up your carpet and paint colour, in this example below, green beige, to simulate what it would look like installed in your home (below). Here is a typical board of samples (below). You can see that after eliminating the very dark ones, the options are mostly pink beige. 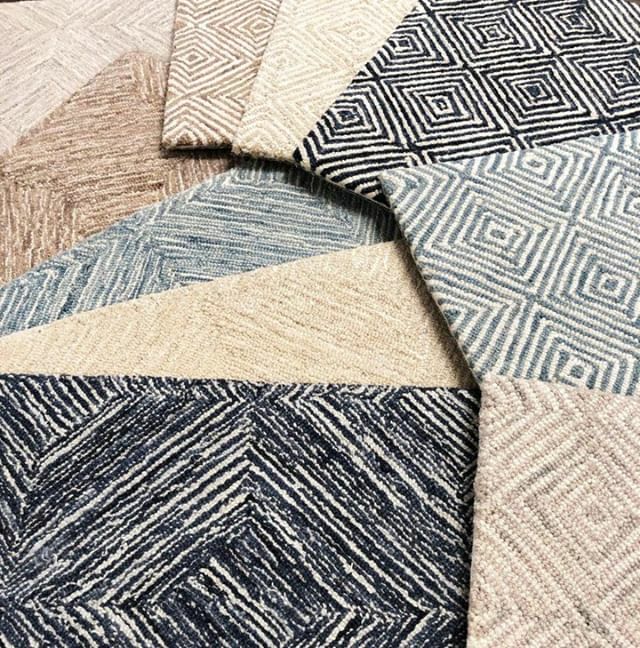 Once you’ve identified the best options in what looks like the right undertone, the next step is to order larger samples from the carpet store to test in your space with your other finishes. This is the ONLY way that you can make sure that the undertone you have chosen is the best one. Larger samples allow you to see the colour much more accurately and you should be able to order a 9″ x 9″ sample which is often the standard size of a test sample. The only way to know if you have the correct neutral undertone is to COMPARE it to a colour with the undertone you want. Since carpet is much more bossy in colour than relatively neutral wood floors, it’s critical that you know which neutral undertone you are installing. Set up your test the same way you did the smaller samples, with the paint colour propped vertically, and the larger carpet sample flat on the floor. Both with white board behind. The only way to know for sure that you have the right undertone is to properly test it. Don’t be tempted to skip this step and choose your carpet at the store without taking a sample home first. It can be tricky to spot that bossy pink undertone without carefully comparing it. If you are already working with a lot of pink beige finishes such as travertine, or your finishes and upholstery are all taupe or violet grey from the grey trend, and you’re not planning to change them out, it’s best to coordinate your new carpet with them. 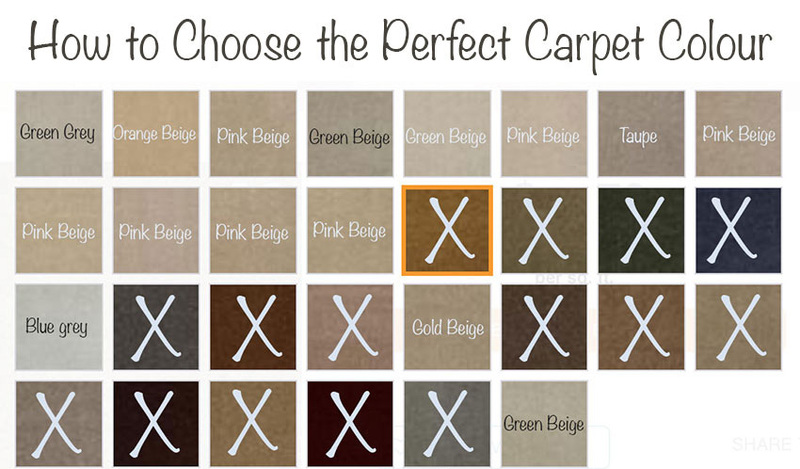 In this case you are looking for the best pink beige or taupe carpet to coordinate with what you already have. You’ll want to avoid the pinker beige and pinker taupe options, again, by comparing your options to my curated collection of the most versatile and least obnoxious taupes and pink beiges. And of course by properly testing them. I talked about green grey (above) which is pretty versatile. Blue grey or violet grey would be more limiting. However, it’s always a good idea to coordinate your carpet to your decorating, so if you have blue colour scheme in your living and dining room and your wall-to-wall carpet is strictly in these rooms, then it makes sense to consider a blue grey area rug. I’m suggesting green beige or green grey if your carpet is going throughout your home or your bedroom floor because that’s where your colours will vary from room to room. And if you have soft greys in your house and you need carpet, consider the natural fibre look instead of more grey like this below. So these are my best tips on how to avoid the unpleasant shock of installing a bossy pink carpet. However, if you need to install carpet in your home, and you’re overwhelmed by boards of samples, or you’re just not sure which neutral undertone would work best with the rest of your finishes, you can find the consultation for that here. PS. I am looking for a full-time social media manager, go to my careers page here for the job description. Hooray! Thanks Maria. This is one big question I was hoping you’d answer – so much wall to wall carpet where I live. I haven’t seen berbers like you’ve suggested so I’m keen to go hunting for those. I suspect they’ll be $$$$$ compared to regular Joe Average carpet though. One question- why do you automatically rule out the darker carpets? Preference? Too bossy? I’ve seen them a lot lately in this neck of the woods – at least mid to dark rather than mid to light. what a great post! you always nail it! this is particularly insightful for people who aren’t sure how to choose carpet! Oh my. We’re choosing a wall color right now for the “public” spaces of our mid-century modern house. I was about to choose a pink beige for the walls, as it looks good with the brick mortar (there is a brick wall outside the house that continues inside, as well as 2 feature fireplaces). I’m assuming the same is true of pink beige on walls as on floors–that it’s bossy. I have two of your color-board sets. Sounds like I need to choose a green beige or green grey instead for the most flexibility. Many thanks for this post; timely! I thought wall to wall carpeting was out. I personally like it in bedrooms. Are people returning to it rather than hardwood throughout a home? Excellent post. Thank you, Maria! Ugh! You described my flawed process to a “T!” My new carpeting did not at all look pink beige in the sample but once installed in my whole house? Pink. Although it was too late to change it out, and far too expensive, I did get a color consultation from you for a new paint color and it has made a huge difference. Thank you! I also underestimated the amount of redecorating that it would take to make the new carpeting work but your consultation included some excellent ideas. Thank you! Perfect timing! I’m in the process of choosing wall to wall carpet for our basement renovation. I used my large colour boards ( the best investment ever!) to make choosing a green beige carpet a snap! Now I’m patiently waiting for the three large samples to arrive before I finalize my choice. I’m also searching for a coordinating runner to be installed on my hardwood staircase. The carpet sales person suggested I use the same carpet as the wall to wall and have it cut and bound to create the runner. Is this commonly done? I suggested a patterned runner similar to the green gray diamond patterned one in your post (lovely photo!) but she thought it might look too busy with the wall to wall carpet, which begins at the foot of the staircase. What do you think? The wall to wall carpet is a pale green beige with s very subtle cream stripe. Another literally big thing I found pink-beige carpet fights with is what is now disparagingly referred to as “brown furniture”. I happen to like mixing in older wood-finished pieces with painted/more modern–the mix is interesting and creates pleasing visual tension (to me)–but the pink beige carpet in our house when we moved in was SO unattractive next to the “brown furniture”. It really clashed; a lot of my older “brown furniture” seems to have a yellowish brown cast, with no pinky tones at all. This might be in part personal preference in stains; for example, I vastly prefer a natural finish to my favorite wood–cherry, and with that it has NO pinkiness at all, but there is an American predilection for an almost burgundy finish for cherry pieces that would call for…well, maybe pinky beige carpet! The older “brown furniture” now lives very happily with the light, diamond-textured carpet I eventually installed about 12 years ago; that carpet has NO pinky tones. Couldn’t really articulate the “pinky tones” reason until this post!! Oh, and pinky beige carpet looks awful next to most hardwood finishes as well, IMO, for those of us who have both. Same problem as with “brown furniture”. Before I came across your blog (no idea of undertones), I picked out what I felt was a neutral carpet color. The salesperson said, “Are you sure? That GREENish one?” After reading your post I’m wondering if the salesperson was accustomed to selling reams of pink-beige carpeting! I started second-guessing my choice but a moving deadline pushed me to go with my instinct on the green-beige carpet. Thankfully it has done well over the years paired with a variety of colors. Wonderful post, Maria. Thank you. I had the same question as Nicola. Why should we automatically rule out the darker colors? Can you elaborate on a situation where this would work? When we moved into our home 30 years ago, we pulled up all the pink beige carpeting and found hardwood underneath. We were thrilled. In the very few rooms and areas that didn’t have hardwood, we carpeted in a boucle berber in mid-dark multi shades of brown. My intent was to make the transition from the hardwood to the carpet as visually seamless in color as possible. 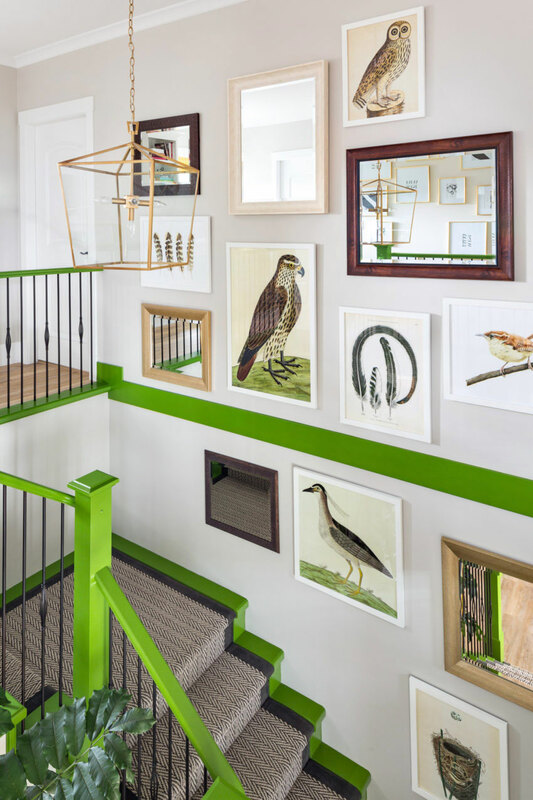 In decades of redecorating this same home, I’ve always found it worked for me, and was able to accent with any colors I wanted in rooms painted mostly warm white with green beige and green grey undertones. Just wondering your thinking on this? Thanks for the answer Maria. The most neutral to go with the most colours…got it! Actually, I DO have it and I agree, it works well. This post is just in time for me! Thank you for this information, it’s very helpful! I have not chosen upholstered furniture yet, but have a grey tile kitchen floor and a beige tile entrance floor at the 2 openings to my living room. I ordered some fabric samples and found that the green beige sample went with both tiles. I also tried holding against the computer screen by your new color wheel that I wish I owned now. I’m very new to decorating. My plan is to know that green beige is neutral and choose upholstery with that undertone , get fabric samples, then try to make sure the carpet coordinates. Do I need to choose white paint samples with green undertones as well before purchasing anything? I’m 57 and finally have the go ahead to really decorate. I’m assuming I might have to wait another 30 yrs in this house to do it again, so I want to get it right. trying to “sell us” something all the time. Another excellent post. Can you do a similar post for countertops? 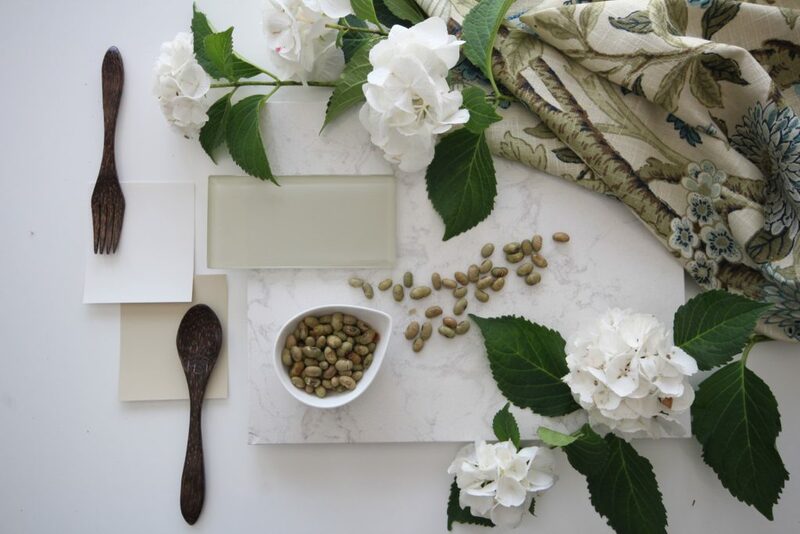 There are so many choices for all the versions of white countertop. I see that Quartz and Quartzite all have undertones and would love to learn more. PS. Also because you taught me something very usefull in this post I am now a whole lot more interested in buying your color wheel (depending on price) now that I can see how usefull it would be. So teaching us helps you too. Looks like a win/win to me!!! This is the post I’ve been waiting for you to write!!!! Thank you so much, Maria! My husband and I prefer carpet for it’s warmer cozier feel and I’ve been putting off making a decision because I knew it would determine everything else in the room. important would it be to coordinate the kitchen or bathroom floors and countertops with the adjoining room carpet colors if you wanted a pattern in the flooring or countertop that wasnt black or brown esp. in open concept houses? would you then need to choose green, grey or green-beige? And what would you do about choosing furniture color, say a sofa color if you wanted to pick a color that you loved like you told us before? Say a pink or purple etc color? Wonderfully informative as always! I want leopard stairs!! I’ve seen pink-beige carpet everywhere too! It’s not only in homes but in apartments, condos and commercial spaces. Who are the manufacturers, designers (for commercial spaces), and carpet retailers who recommend this so often? What do they not know or are they laughing at the water fountain and collecting bonuses on selling more PB carpet? A friend moved to DE recently and sent photos of their new apartment asking what colors to paint the walls and what fabric to choose to reupholster two chairs. They are looking for warm neutrals, but I looked at the wall-to-wall carpet and instantly knew it was PB. She could not see it until I told her to look at her gold chairs next to the carpet then she said, “Oh no, you’re right!” The apartment is temporary (1-2 years) until they settle into a new job. 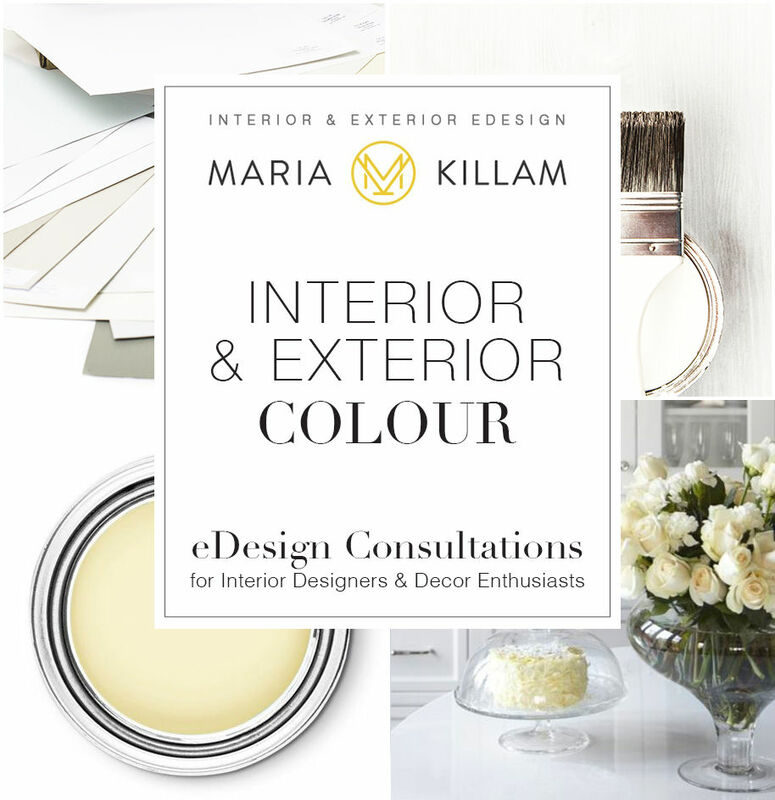 Does she cater to the bossy PB or ignore it & choose colors (especially for upholstery) that she will like going forward, which would probably lean more towards green-beige? Hi Maria, This is such a good post and certainly opens up a can of worms especially if they haven’t taken your course of undertones. As a designer it is always a delima to go to a client’s home to choose just carpet when none of their undertones go together. It is a lot easier of course starting from scratch. If everyone had hardwood floors it sure would be easier! I recently had a house call where the client just painted the walls pink beige and had a mix of furniture with several unrelated undertones. She was a little disturbed that I couldn’t come up with an instant choice for her carpet. If you suggest repainting or reupholsterin they then think you are just trying to make more money. Sometimes our job is not easy! Oh so great! I can’t believe you haven’t written a post about this before either 🙂 Our house had cream paint and pink beige carpet/sheet vinyl everywhere. Now it’s just the carpet in 2 bedrooms as the rest has become hardwoods. I am saving this post for future updates! I do LOVE the natural fiber look carpeting- we have several seagrass and jute rugs elsewhere and I’d already planned to find something similar in color and texture if at all possible, not knowing that was starting to show up in stores. The pale yellow? gold? beige of seagrass works really well with our color palette, though I wouldn’t say no to green beige either. This is one of the best of your consistently awesome posts. THANK YOU! This product is great for durability, is environment friendly, offers comfort and easy maintenance. You can install as area rug or as wall to wall carpet, which is what we did and LOVE it. Reviews are correct: You must order and choose from in-hand samples. At the time, FLOR would also send a full size 20″ x 20″ square as a loaner. 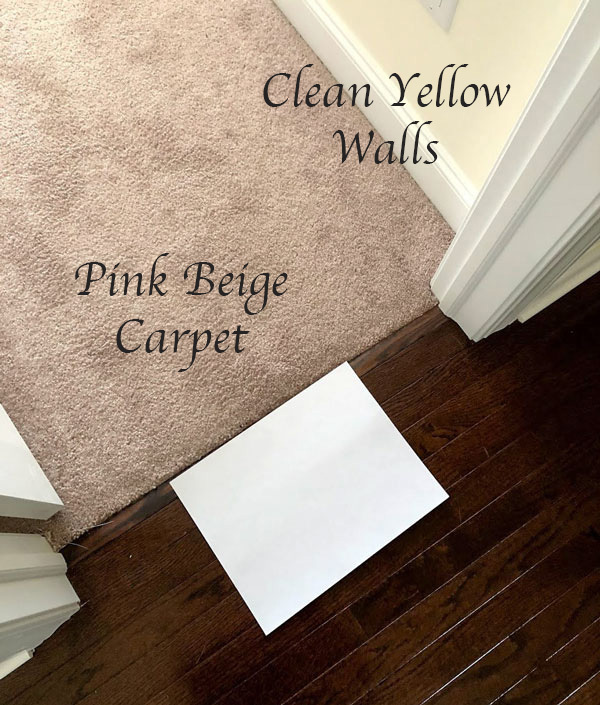 I cringed when I saw the picture of the clean yellow walls and the pink beige carpet. I will claim that horrific, uninformed combination. Thankfully I have found Maria! Every choice I have made since has been beautiful. I love every post and have used the paint selection service twice so far to for much better selections as we rid this house of the builders paint selection. The carpet will have to stay for a while but I am learning how to work with that poor choice. I can repeat what another commenter wrote-the builders design center was poorly lit and it was difficult to envision how everything would come together when looking at very small swatches. Thank you for another blog post with perfect examples. Any way you could tell us some brands and names of colors that would be the green beige? That would be so helpful. I recently picked up a sample of carpet that I thought would be a good replacement and the same color of my now 25-year-old carpet only to find the color was all not at all right.